"Out of Europe twice in a week” was an accurate summary, I thought, as I watched the highlights of the England football team being dumped out of the European Championships by the minnows of Iceland. Somehow it hadn’t quite sunk in during the live game that I needed a second look an hour later to make sure I wasn’t dreaming; sadly not. In a similar vein, as I awoke on Friday 24th June and we were all facing the prospect of a new Britain outside the EU, I needed to double check the result later in the day for similar reasons! Tunbridge Wells voted to remain, but the rest of the County decided to leave as did a slight majority of the U.K. and in the last few weeks we’ve been inundated with views from commentators about whether we will enter another period of recession. The view of some is that the impact on the property market is being felt already with a small number of buyers reliant on investments to purchase property having taken the drastic step of withdrawing altogether. Others say that the effects of Brexit will not be felt for a number of months. Whatever happens and however much this part of the County is protected by a desirability to live in it, it seems that an impact of some sort is almost inevitable. It is clear that we are in a period of uncertainty with many adopting a wait and- see approach. Whilst there may be a downturn in the market due to the EU referendum, any accurate assessment of the figures will not be helped by the large number of buyers of second homes and buy-to-let investors who finalised their purchases ahead of the April stamp duty tax changes. If we face the prospect of property prices falling, with lenders already cutting mortgage rates and offering attractive fixed-term mortgages in anticipation of the Bank of England cutting the base rate, first time buyers will undoubtedly benefit and be better placed to get a foot on the property ladder. The optimists would argue that the market fundamentals are unchanged and that there is still a continuing shortage of properties for sale amongst a growing population. This ongoing demand, in conjunction with the lowering of interest rates, is likely to prevent the property market from experiencing a massive decline. However even they agree that there will be a period of insecurity in the market and that it is likely that we will experience an interim slowdown. So are we likely to see any change to legislation to encourage not only first time buyers, but also investors back to inject some positive activity into our property market? If we find ourselves facing a downturn, stamp duty holidays that we saw in the last recession could return for limited periods whereby lower valued properties paid no stamp duty if purchased within a certain period. A further short term stimulus may be to relax the higher stamp duty rates on second homes for a time. Incentive schemes such as help to buy are not just for first time buyers and can be used by those who already own a home and are looking to move. 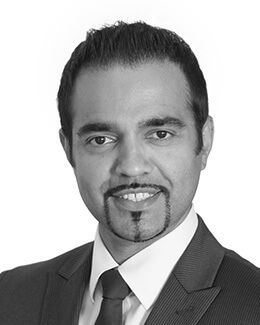 If you are looking for commercial property law advice, discover how Brexit may affect your property search by contacting Daldeep Jaswal on cdjaswal@bussmurton.co.uk or 01892 502 324.